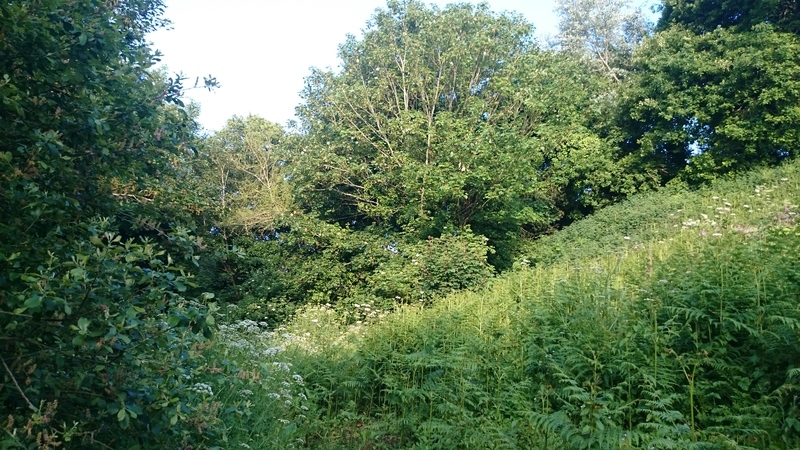 The Birds On The Edge Farmland Bird Monitoring project passed another impressive milestone this month when the 5,000th data sheet was input to the database. That’s 5,000 visits to our 23 transects at 21 sites since 2005. Birds have been recorded in all weather, come hell, high water, horizontal rain, snow and the strange things that go on at some sites around dawn. The exact number of bird records is less easy to count off but, and a record can be one individual bird or a flock of hundreds, it must be well over 250,000 by now. And the number of birds themselves? It may be over 1 million although there are some robins that have been counted more than once. Even on the same day! During the project we have recorded 171 species and that’s without gulls or birds like gannets that although sometimes visible don’t count if they are way out to sea. Mind you, if any gannet chose to fly over land like the cormorants do then we’d record it! 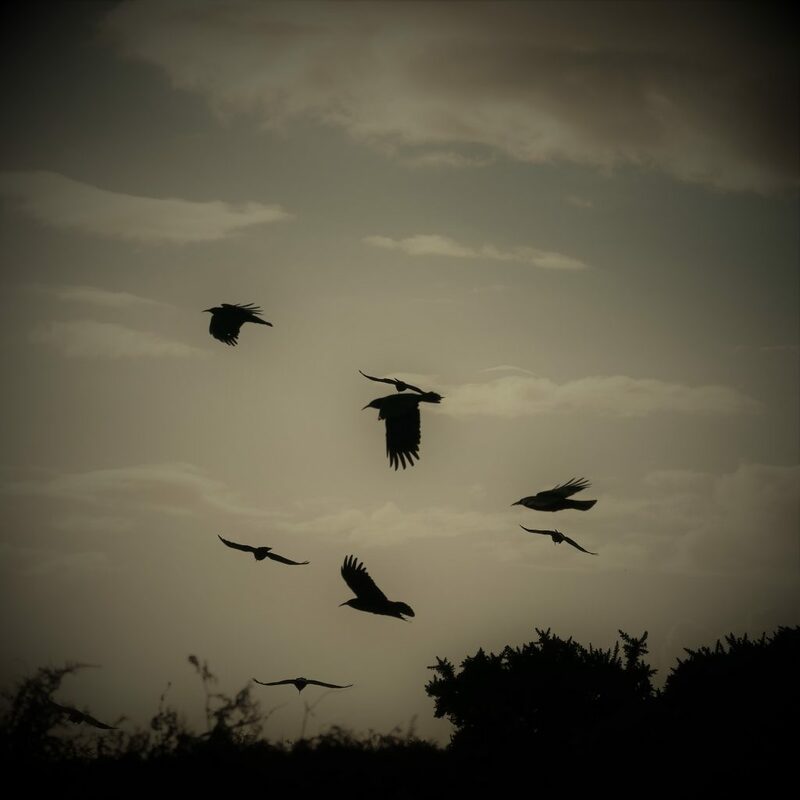 We have never included black swans either but I’ve often thought that we should have – we do count other riffraff like pheasants, bar-headed and barnacle geese and those feral greylag geese that have made themselves at home in Jersey. And a couple of escaped cagebirds, although, with peafowl but unlike those geese, don’t feature in the 171. The project’s first detailed report Trends in Jersey landbirds 2005‐2015 can be read or downloaded from here. In 2019 the project will continue to collect data, giving incredible strength to our understanding of the current status of Jersey’s landbirds. So, why not come and join our current stalwart counters Harri, Will, Jon, Jonny, Tony, Miranda, Neil and Ali, Glyn, Hester, Cris, Tim, Hannah and Bea, Neil and Richard. We would like to introduce a couple of new counters into the team to make sure every site is well covered. We are particularly keen for someone to do the count at Sorel (see description here). 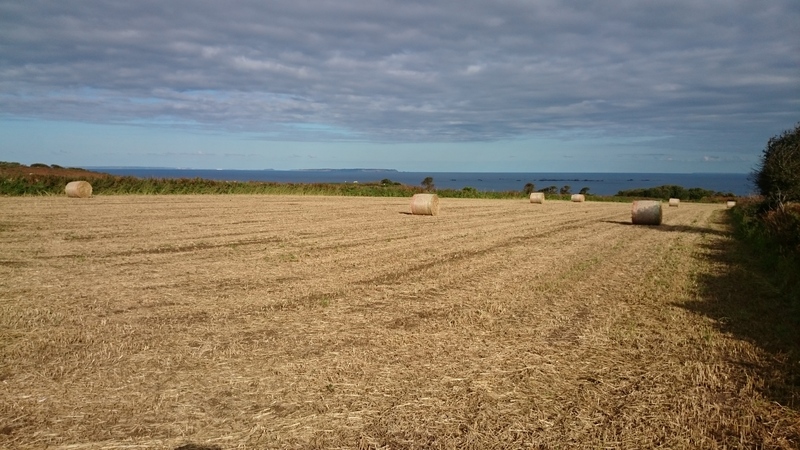 There are actually two transects at Sorel but you simply walk west along the coastal path for one and back to the carpark through the fields for the other. Its not a hard walk and can be a beautiful site (ok, its not always beautiful if the weather is bad) and is famous for its migratory birds at times of the year and its (definitely countable) choughs throughout the year. As with all our transects, the walk isn’t too difficult and should ideally be visited twice a month. Chough monitoring can be really easy some days. Photo by Liz Corry. November was a quiet month for the choughs. Correction, November was a quiet month for staff at Sorel. For all we know the choughs have been having wild parties, hanging out in camper vans down at St Ouen, and wading in on the Brexit debate. This is the time of year the birds allow me have a break, so I took the opportunity to use up holiday allowance. Staff still visited Sorel to provide the supplemental food in the afternoons. Other than that monitoring and management was kept to a minimum. Thanks to global warming, Jersey has had a relatively warm autumn. Entering the latter half of November, ‘normal’ service resumed with frosty nights and gale force winds. Roosting time crept forward with the sun setting before 4.30pm. 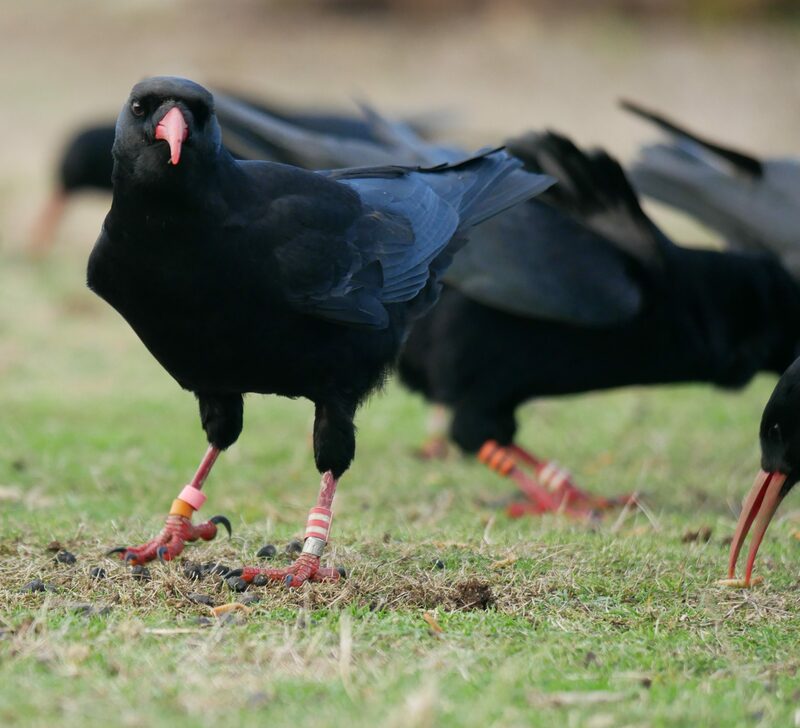 These combined conditions meant that we were seeing more choughs at the supplemental feed in need of those extra calories: 44 out of 46 choughs on one day. Then again, we would still have days when just 2 or 8 showed up. The only noteworthy news has been confirmation from Simon Sand & Gravel Ltd that Mary and Bo have started roosting onsite again. They have been joined by two others: we don’t know their identity, but suspect it is the other pair seen foraging around Corbière. Mary and Bo are still visiting Sorel for the feed as they did at the start of the breeding season. Making a round trip of 14km for supper suggests that they are not finding enough food down in the south of the Island. And that’s it. Nothing else to report. Unless you want me to write about the Rewilding conference I attended whilst on holiday? Leave a comment if you do; see if we bow to public pressure. Want nesting petrels or puffins? Get rid of invasive mammals from their colonies! It’s long been known that nesting seabirds and mammals don’t mix well. That’s why most species choose islands free of rodents and carnivores to nest. Smaller seabirds and those that nest down burrows are particularly vulnerable. And, if mammals get to those otherwise safe seabird colonies, you can expect the pretty rapid disappearance of the birds – they are either killed and eaten or they just don’t even try and nest. Unwanted species like this are called invasive and you can read all about this well studied issue through some titles below. Birds On The Edge has covered several successful projects to remove unwanted mammals from seabird sites around the British Isles in Lundy Island, the Isles of Scilly, Calf of Man and the Shiant Isles. In Jersey we believe that mammals currently prevent breeding of storm petrel (they breed in good numbers in Alderney) and Manx shearwater and severely suppress our tiny Atlantic puffin population. A storm petrel chick has been recorded calling on the Shiant Isles for the very first time. This is an important step for the Shiant Isles Recovery Project as it’s the first known breeding of these seabirds on the islands. The EU LIFE+ funded project played an artificial call of an adult storm petrel outside the suspected burrow nest site to record the chick’s reply call and confirm its presence. The project, a partnership between RSPB Scotland, Scottish Natural Heritage and the Nicolson family, the custodians of the islands, has been working over the last four years to make these islands, five miles off the coast of Harris, a safer place for Scotland’s globally threatened seabirds to breed. Island restoration projects such as this one are a key part of helping Scotland’s struggling seabird populations develop resilience to ensure their long term survival. 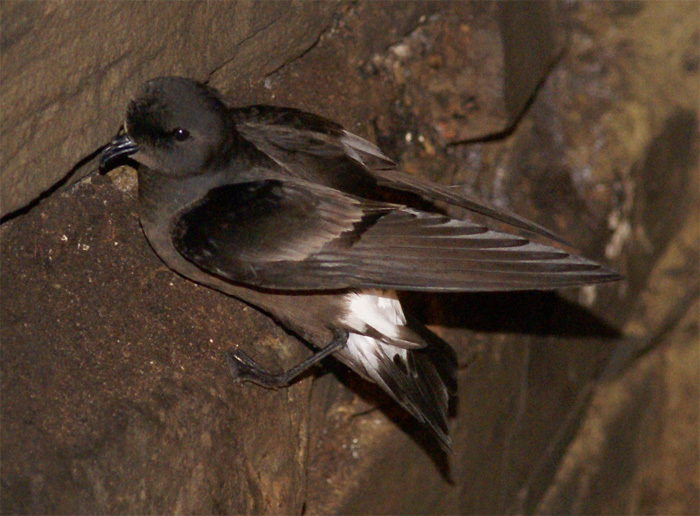 Storm petrels were not able to breed successfully at the Shiants because of their vulnerability to predation from the islands’ population of invasive non-native black rats. These were eradicated over the winter of 2015/16 and the islands were officially declared free of rats earlier this year. Following the eradication, the project has been working to attract storm petrels to breed on the islands as it has ideal habitat for their nests in the many areas of boulders around the islands. These birds are little bigger than sparrows and only come to land in summer to breed. Scotland’s internationally important population currently nests at only a few offshore islands because of the presence of ground predators at other potential sites. 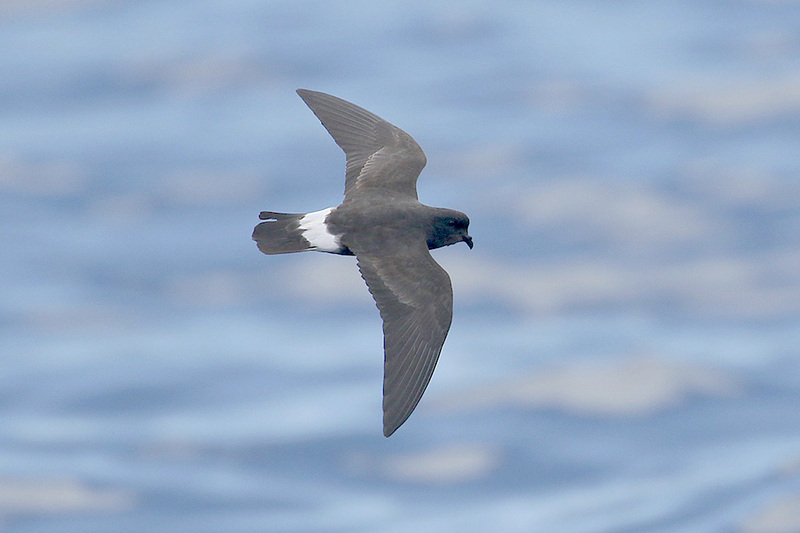 During the summer of 2017, calling storm petrels were recorded on the Shiants for the first time. Dr Charlie Main, Senior Project Manager for the Shiant Isles Recovery Project said: “It’s fantastic that this storm petrel chick has been recorded on the Shiants. After the adult was recorded last year we thought it highly likely that they were breeding so to have this confirmed now is great for the project and for the species in Scotland. It’s also another vital step for making these islands a safer place for Scotland’s internationally important seabirds, many of which are struggling to cope with the impact of climate change and a lack of suitable secure breeding sites. In 2017, Kirsty Swinnerton, with Piers Sangan, undertook a preliminary review of the conditions available for nesting seabirds on Jersey’s north coast for Birds On The Edge. Kirsty’s report is now available here. The recent establishment of the Jersey National Park and the acquisition of land at Plémont by the National Trust for Jersey has created some unique opportunities for seabird and habitat restoration. Historically, the north-west coast from La Tête de Plémont to Douët de la Mer supported 200-300 breeding pairs of Atlantic puffin but which have dwindled today to less than 10 pairs at most. The decline has probably been a result of an overall decline in the species’ southern range combined with the impacts of invasive species on Jersey including the brown rat, feral polecat/ferret, European hedgehog, European rabbit, and free ranging/feral cats. In addition, domestic dogs and agricultural stock (sheep and cows) could also prevent the re-establishment of puffins if not carefully managed at seabird nesting sites. The report provides an overview of existing seabird recovery tools proven to re-establish breeding seabird colonies around the world. 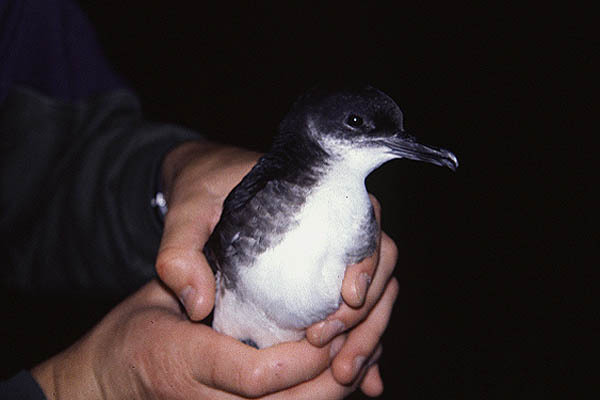 The primary focus is on the control of invasive vertebrates to increase the size and distribution of breeding colonies and reproductive success, and on hands-on species recovery techniques used to encourage seabirds to recolonise the area. 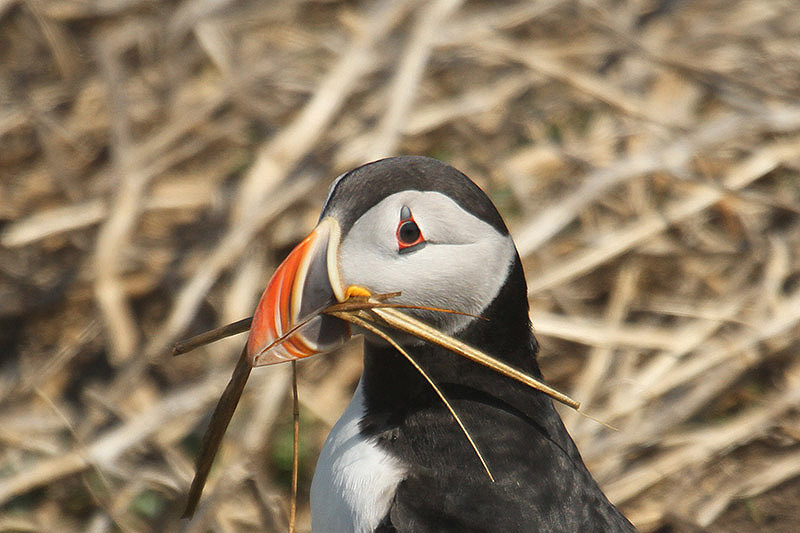 However, during the study, it became apparent that much of the potential seabird recovery area does not support suitable habitat for puffins or other ground-nesting seabirds. The sites are choked with dense stands of bracken, and this may be the primary factor currently limiting colony growth of puffins and other burrow-nesting seabirds. To understand more fully the impacts and interactions of invasive species, lack of suitable breeding habitat, and human disturbance on puffin colony re-establishment, the study recommended a pilot project combining species recovery techniques with research and monitoring. 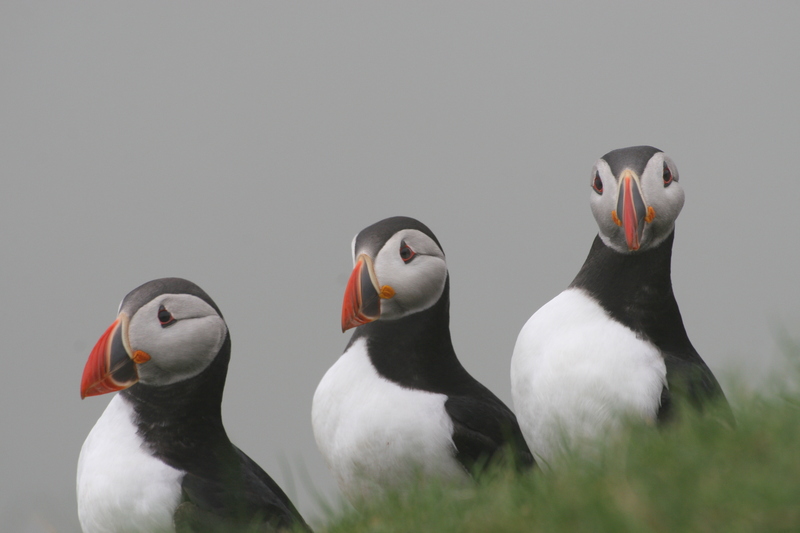 It further recommends initial small steps to maximise opportunities for feedback into recovery project development and the development of Species Action Plans for puffins and other seabirds by working groups in order to guide recovery efforts to include local seabird experts and stakeholders, and ensure best practices.